Last updated March 2019 - Any enquiries regarding these model railway track screws or any problems please e-mail. OO/HO gauge model railway track screws - so much better than track pins. 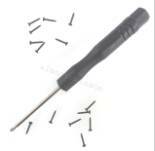 00 gauge track screws are also suitable for scalextric track fixings in place of track pins. The 'mini' driver and the Berent driver are ONLY suitable for 6, 8 and 10mm 00 gauge screws. All sizes, 6,8,10,12,14,16mm 00 or 6,8, 10mm N gauge. Be sure to include your name and address with payment along with details of the size and quantity of screw you require (gauge and length). If you wish to pay electronicly you will find a small number of options avaialbe in my Etsy store. They are more expensive than here but cheaper than on my Ebay site. 6mm oo/ho gauge track screws. 6mm track screws suitable for oo gauge Horny and Peco e.t.c model railway track in place of track pins. 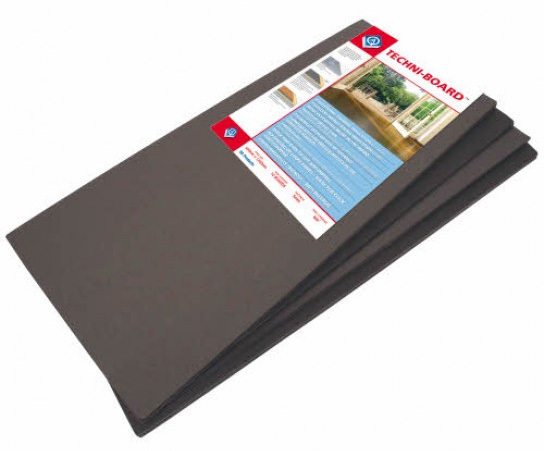 If you are using foam underlay you will want to use track screws longer than 6mm. See below. Suitble for use with scalextric track fittings in place of Hornby track pins. 8mm oo/ho gauge track screws. 8mm track screws suitable for Hornby and Peco oo/ho model railway track when you want to do some unnecesary extra screwing. Also suitable for Fleischmann profi track (but I used 10mm with mine - only because I did not have 8mm at the time.). 10mm track screws suitable for Fleischmann profi track (but I would recomend 8mm). Gleisschrauben spur HO Fleichmann. 12mm 00 gauge track screws - suitable for Marklin C track and Bachmann Easitrack. 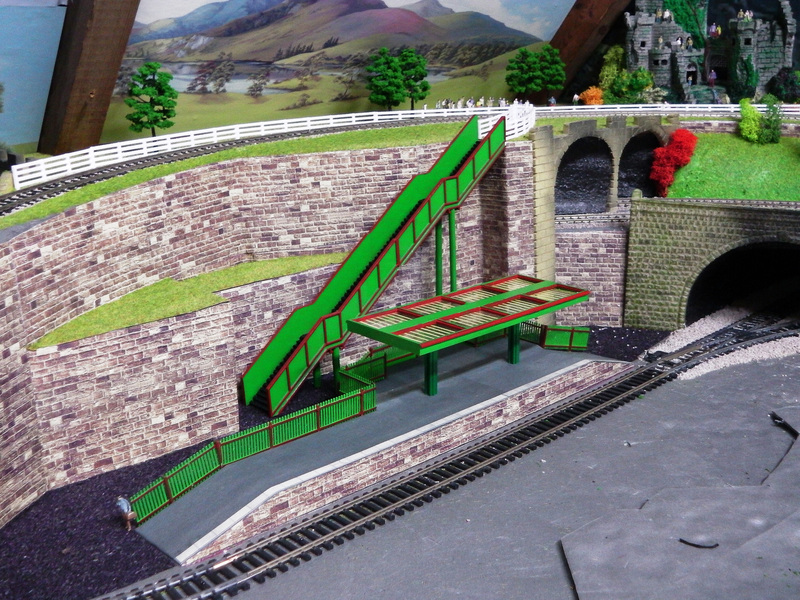 16mm 00 gauge track screws - for when you want to go that extra mile. These screws are the correct diameter to pass througth the pre exhisting holes in Hornby, peco set track, Fleischmann Profi etc. They are slef tappers and can be screwed directly into soft woods, sundeela board and the like. Using a tiny drill (smaller than the screw) to precut into wood will always make screwing them in easier. 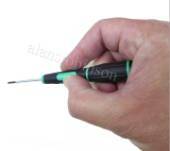 Using over long screws in a solid surface without predrilling will increase the torque on the head as you screw them in with the increased liklihood of stripping the head, use the minimum length you need. Screws hold better than pins and do not need to penetrate anywhere near as far to hold the track firmly.Just because some track pins are 16mm long does not mean you want 16mm screws. 6mm long track screws suitable for N gauge Fleiscmann, Mini trix e.t.c model railway track in place of track pins. These N gauge track screws are thiner than the 00 gauge track screws I sell. 8mm track screws suitable for N gauge, when you want something a little longer. 10mm long N gauge track screws. Peco N gauge set track - it has been brought to my attention by a Peco user that these track screws actually stretch the sleeper plastic slightly resulting in discolouration. 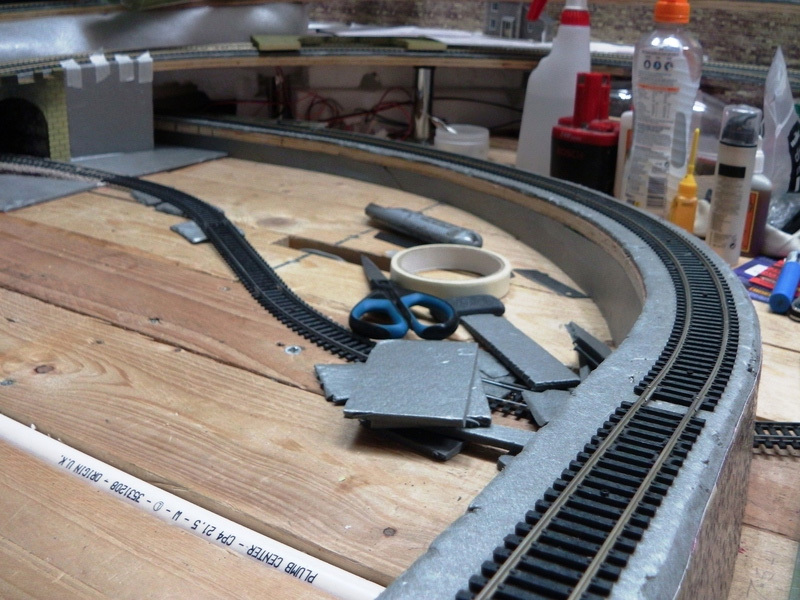 The screws are slightly too large for the pre drilled holes, therefore it would be preferable to drill out the holes a fraction when using these screws with Peco N gauge set track. For Peco flexitrack you need to drill your own holes anyway. Screwdrivers for model railway track screws. 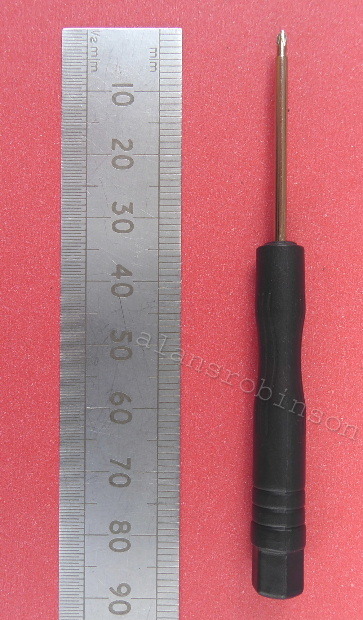 '14cm' 00 gauge and N gauge model railway screw driver. A 14cm screwdriver with a swivel cap to make screwing more comfortable. Ph00 for 00 gauge PH000 for N gauge. Berent screwdriver for 00 gauge only, not recomended for 12, 14 1nd 16mm long screws. A 15cm screwdriver with swivel cap and rubbersied nodules on the hand to aid grip. Ph00 for 00 gauge. 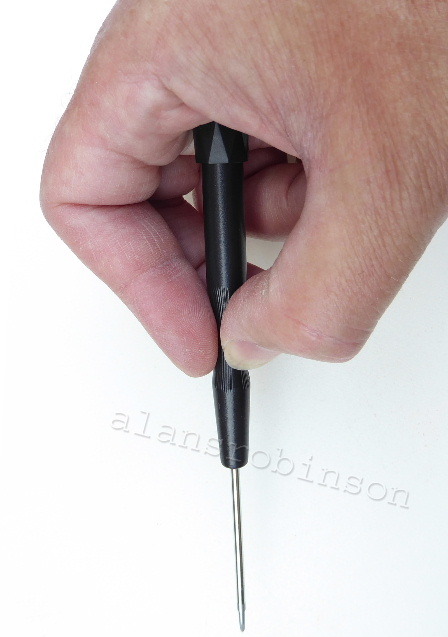 'Ergonomic' better quality 00 gauge (PHOO) and N gauge (PH000) model railway screw driver. A 15cm screwdriver with a swivel cap AND ergonomic handle (it says so on the packet). Far better than the others. It's cheap for a reason. 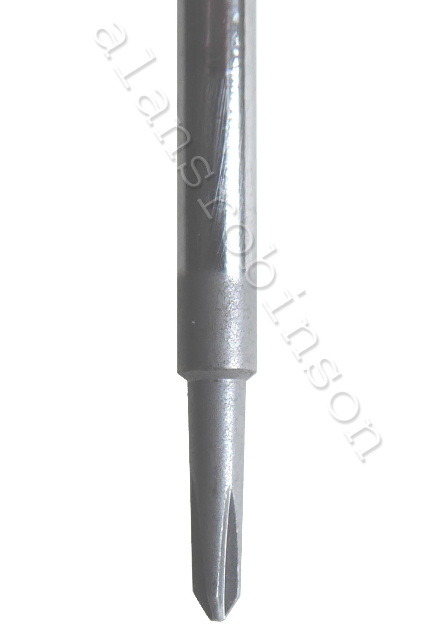 A very basic 8.5 cm screwdiver of adequate quality to turn 6, 8 and 10mm 00 gauge track screws. Not suitable for 12, 14 and 16mm oo gauge of N gaugeNo thrills, no fun.Tired fingers by the time you're done. Only available if ordered with screws. It does not make economic sense to sell on it's own since the postage is more than the cost of the driver. 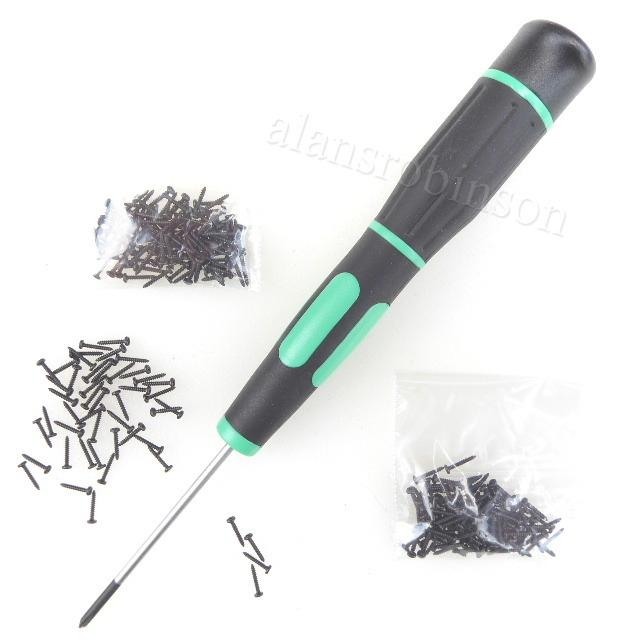 If you just want to look for cheaper screwdrivers elsewhere I recomend a Phillips PH00 for 00 gauge screws and for N gauge screws a Phillips PH000 (three 0's). Though it does depend on the manufacturer and the quality. Self tapping 6mm, 8mm or 10mm x 1.4 mm track screws suitable for Hornby, Peco, Fleischmann OO / HO model railway track fixing in place of track pins. 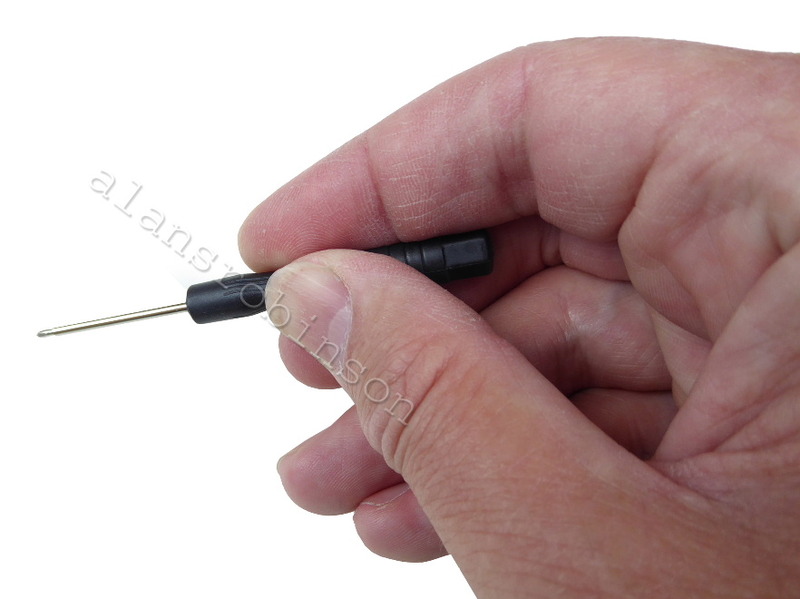 Self tapping 6mm x 1mm track screws are suitable for N gauge track fixing in place of track pins. Gleisschrauben f黵 modelleisenbahnen, Fleischmann, Hornby, Peco. HO spur und N spur gleisschrauben. Befestigungs. Do try not to get over excited at the extreme close ups of the 6mm model railway track screws shown below. For just a few pounds they could be all yours. First we have a pair of photos showing the track screw from the side and from above, demonstrating the all round superiority of the track screw to the the traditional model railway track pin. And now a picture of a group of track screws together lounging around in a relaxed pose. And here is a picture of the screws bagged up and ready for disperasl to model railway lovers everywhere anxious to advance out of the dark ages of track pins. And finally a couple of older pictures of 6mm model railway track screws for all you nostalgia lovers out there. If you have any exciting pictures of model railway track screws why not submit them to the email address below. Any enquiries regarding these model railway track screws or any problems please e-mail. 6mm long model railway track screws are suitable for Hornby, Peco, etc OO / HO gauge model railway track in place of track pins. 8mm long model railway track screws are suitable for Fleischmann ho gauge profi gleis ready ballasted track. 10mm model railway screws are not suitable for Roco geoline - you want something a little longer. 8mm track screws are neither here nor there. These self tapping screws measure 1.4 mm diameter are suitable for fixing OO gauge model railway track by manufactures like Hornby, Peco and Fleischmann to base boards. The main benefit of using track screws rather than track pins is the ease with which track screws can be removed if the track needs lifting. Rather than trying to prise track pins up with the potential to damage sleepers on expensive pieces of model railway track you can gently unscrew the track screws. 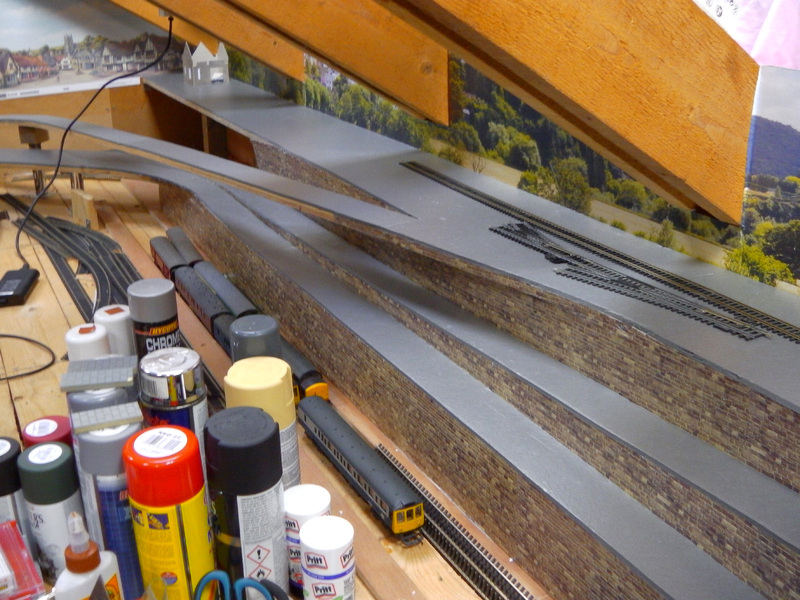 Neither are you sending unnecessary shock waves through your model railway layout when tapping track pins in. It is also the case that track screws do not need to be as long as track pins to get a decent purchase in the base board. While track pins may be cheaper that track screws the cost is negligible compared to the price of a set of model railway points. Would you spoil the ship for a haporth of tar? Why spoil a layout for a few threpenny screws. If you are unhappy with your purchase you may return it within 14 days for a refund. * 'The perfect alternative to track pins' - The use of the word perfect here is for sloganising purposes. A more truthful phrase might be 'The better alternative to track pins' and this is of course subjective. I believe track screws are far better for model railway track fixing than track pins but since I'm trying to sell them to you I'm not exactly an unbiased opinion. The main benefits of track screws over track pins in my opinion are, 1 - The easier ability to relift track. Trying to prize up track held in place by track pins risks breaking sleepers. 2 - Avoiding sending shock waves through your layout by hitting it with your genuine full-scale model replica John Henry spike drivers hammer. What do you mean you use a panel pin gun? Your still sending shocks waves. 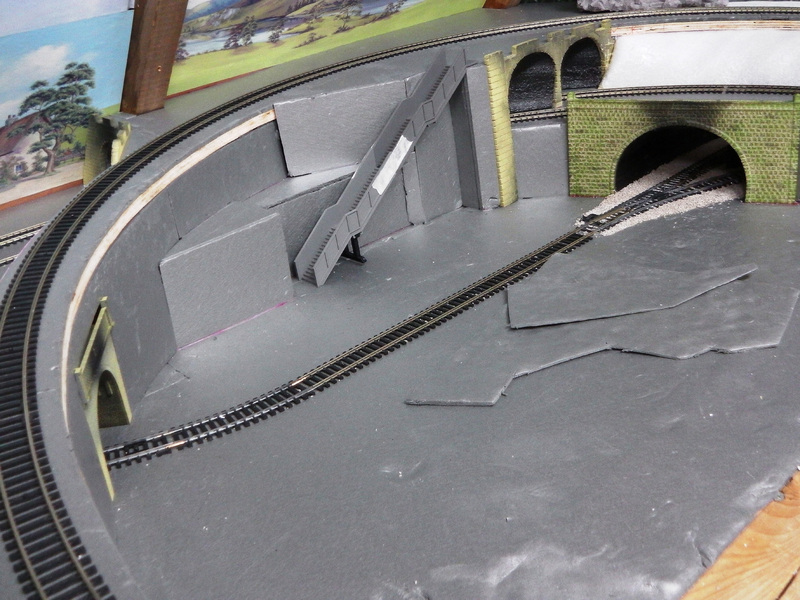 It's not relevant if your fixing track down before your scenery but if you want to add or replace track after you've sculptured your masterpiece from eggs hells and faberge you might want to be more careful. 3 - Less cussing when you hit your thumb knuckle with your panel pin hammer. 4 - I make some money. The main disadvantage of track screws to track pins is if you strip the head of the screws trying to screw them in. They are small screws, you can only use so much torque before damaging them. If you strip the head it will be a pain trying to get them out. To minimise the chances of stripping the screw head use a good quality screwdriver of the correct size, don't use unnecessarily long screws and if screwing into hard material pre drill a guide hole (hole to be smaller than the diameter of the screws). The screws are self tapers and will screw into soft woods without a pre drilled hole, but if you have a mahogany or teak base board you are screwing into a pre drilled hole would be advisable. More realistically if you need to screw though a sleeper without a manufactures pre existing hole you should drill a hole rather than trying to just screw through it. Plastic sleepers are comparitively hard.